When iOS 5 was first introduced to the world for public consumption in October 2011, it was immediately evident that it contained a number of highly useful features which would quickly become the focus of the jailbreaking development community. The introduction of Notification Center was seen as a huge, much needed feature addition to iOS, but also provided an entirely new entity for developers to hook into and enhance on a jailbroken device. Upon launch, Notification Center did receive a lot of development attention, purely because when it was invoked by the user it offered a lot of screen real estate for widgets to be embedded into, and also because it was a software addition and not hardware specific making it readily available across the both iPads, three iPhone models and a number of iPod touches – basically any device capable of running iOS 5. One of the other hugely popular enhancements which came with iOS 5 and the iPhone 4S was Siri, the intelligent voice assistant, into which developers were chomping to get their teeth into. The problem with Siri is; it is exclusive, by official measures, to the iPhone 4S hardware and due to the initial lack of a jailbreak for A5-powered devices running iOS 5, it was very difficult for developers to create and test any Siri-based tweaks. That quickly changed when the ‘Dream Team’ released the Absinthe tool to provide an untethered jailbreak for all A5 devices, which in turn opened the flood gates for the Siri enhancements. 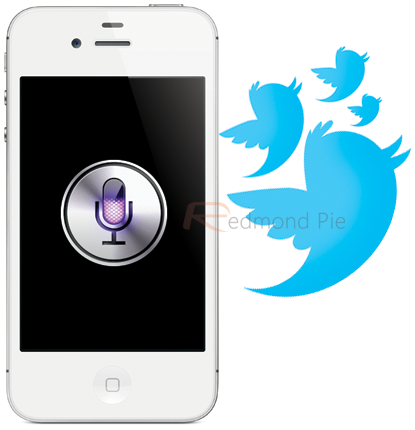 One of the latest tweaks, which aims to provide additional functionality to Siri is called ‘TweetLine’ and is an AssistantExtensions plugin, providing Twitter integration through the registered Twitter account in the Settings application. By activating Siri through the normal method and giving the spoken command ‘timeline’, the TweetLine tweak forces Siri to display the latest five tweets from your Twitter timeline. 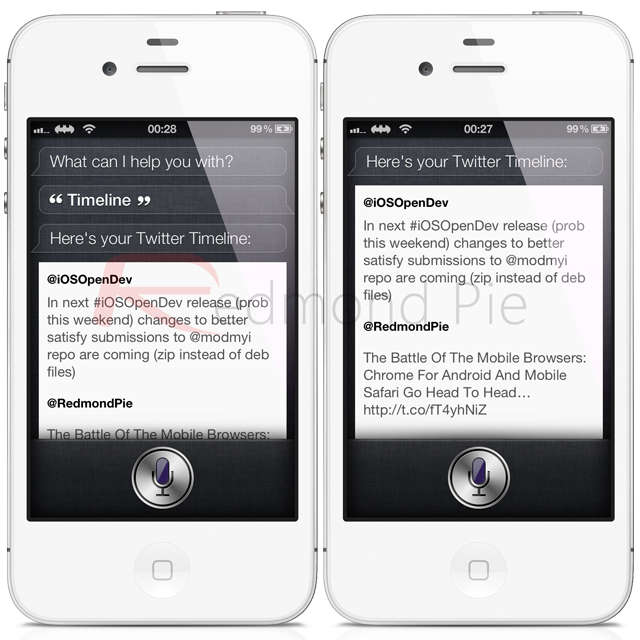 TweetLine is built upon the AssistantExtensions tweak which allows developers to quickly and efficiently develop enhancements for Siri and is also featured as part of the recently launched iOSOpenDev project which aims to make open developer easier on iOS devices. In all honesty, TweetLine is functional and potentially quite useful if it was extended and built upon to feature additional commands. At the moment, when the ‘timeline’ command is given, the last five tweets from the timeline are shown in plain text with usernames and any links being redundant. The functionality ends with being able to quickly read the tweets and scroll up and down on the tweet sheet that is provided within the Siri interface. TweetLine could prove useful if you wanted to quickly check your timeline when in a busy situation, but other than that, its limited functionality puts it under the ‘download and use it a few times because its free’ category. If you are interested in trying out TweetLine, it is available through the ModMyi repository and requires a Siri enabled device with a registered Twitter account.